Dual Core | RIFF Box – Best JTAG Box in this Galaxy :) Easy to operate ! Samsung P3113 is based on the OMAP4430 Processor (Cortex-A9 Dual-Core). JTAG pads are very small; professional experience in soldering is required to connect wires to the JTAG interface. Please note: The initial loader in the Samsung P3113 is XLOADER. Due to OMAP4430’s some peculiar TrustZone security features current resurrector will boot only in case XLOADER is alive. That’s why model name of current resurrector has additional text: ‘XLoader+’. In case XLOADER is damaged (which happens for example after wrong firmware reflash), you will have to use different resurrector DLL – the one with the ‘XLoader-” delimiter. Samsung P3110 is based on the OMAP4430 Processor (Cortex-A9 Dual-Core). JTAG pads are very small; professional experience in soldering is required to connect wires to the JTAG interface. Please note: The initial loader in the Samsung P3110 is XLOADER. Due to OMAP4430’s some peculiar TrustZone security features current resurrector will boot only in case XLOADER is alive. That’s why model name of current resurrector has additional text: ‘XLoader+’. In case XLOADER is damaged (which happens for example after wrong firmware reflash), you will have to use different resurrector DLL – the one with the ‘XLoader-” delimiter. 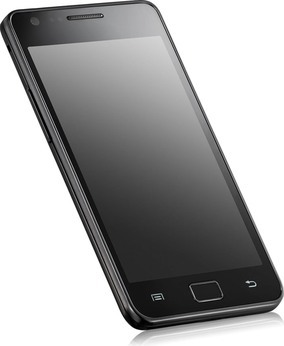 Samsung P3100 is based on the OMAP4430 Processor (Cortex-A9 Dual-Core). JTAG pads are very small; professional experience in soldering is required to connect wires to the JTAG interface. Please note: The initial loader in the Samsung P3100 is XLOADER. Due to OMAP4430’s some peculiar TrustZone security features current resurrector will boot only in case XLOADER is alive. That’s why model name of current resurrector has additional text: ‘XLoader+’. In case XLOADER is damaged (which happens for example after wrong firmware reflash), you will have to use different resurrector DLL – the one with the ‘XLoader-” delimiter. Samsung P5100 is based on the OMAP4430 Processor (Cortex-A9 Dual-Core). JTAG pads are very small; professional experience in soldering is required to connect wires to the JTAG interface. Please note: The initial loader in the Samsung P5100 is XLOADER. Due to OMAP4430’s some peculiar TrustZone security features current resurrector will boot only in case XLOADER is alive. That’s why model name of current resurrector has additional text: ‘XLoader+’. In case XLOADER is damaged (which happens for example after wrong firmware reflash), you will have to use different resurrector DLL – the one with the ‘XLoader-” delimiter. Samsung P5110 is based on the OMAP4430 Processor (Cortex-A9 Dual-Core). JTAG pads are very small; professional experience in soldering is required to connect wires to the JTAG interface. Please note: The initial loader in the Samsung P5110 is XLOADER. Due to OMAP4430’s some peculiar TrustZone security features current resurrector will boot only in case XLOADER is alive. That’s why model name of current resurrector has additional text: ‘XLoader+’. In case XLOADER is damaged (which happens for example after wrong firmware reflash), you will have to use different resurrector DLL – the one with the ‘XLoader-” delimiter.